We have been developing several assessment resources, based on our research to help prevent risk and promote well-being for LGBT young people. The need to identify LGBT youth at risk for serious health problems related to family rejection that may also lead to removal or ejection from the home prompted us to develop a screening tool for use by health, mental health, school-based, social service and other care providers in a wide range of settings. 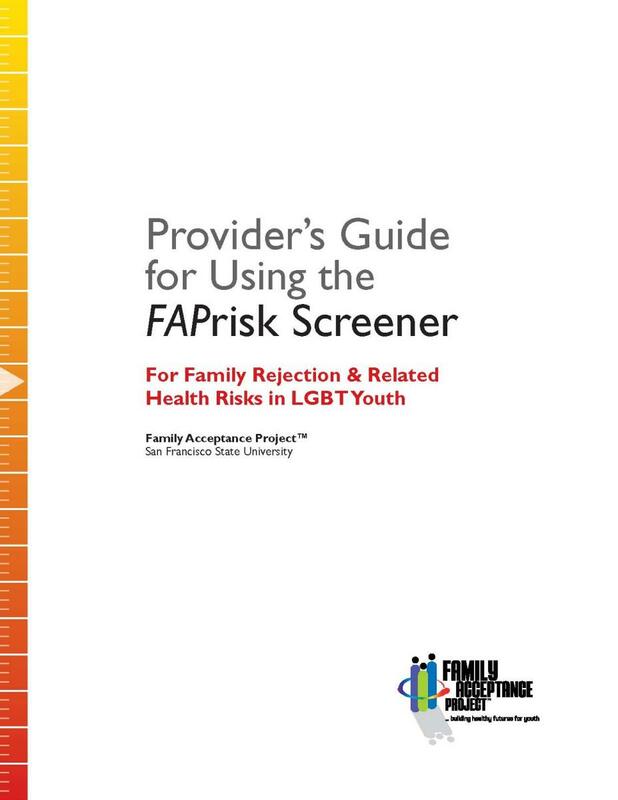 The FAPrisk Screener is a research-generated screening instrument based on findings from Family Acceptance Project® (FAP) studies that have identified and measured family and caregiver behaviors that are highly predictive of negative health and mental health outcomes for LGBT young people. For this screening instrument, these specific health concerns include depression, suicide attempts, substance use problems (e.g., blackouts) and prior diagnosis with a sexually transmitted disease (STD). This new instrument is intended to screen LGBT youth and young people to identify those who are experiencing especially harmful types of family rejection from parents, foster parents and caregivers and to guide practice and follow up care. 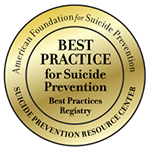 In our work to develop and pilot this screening tool, we found that providers need training and background information to use this tool and to follow up as indicated. We provide training and guidance for providers on using this screener and on engaging in appropriate follow up with families. We are currently raising funds to develop an online training course to teach providers how to use the FAPrisk Screener and how to follow up with youth and families. We will also post other assessment resources that you might find useful in your work, such as the Mental Health Assessment Protocol included below.